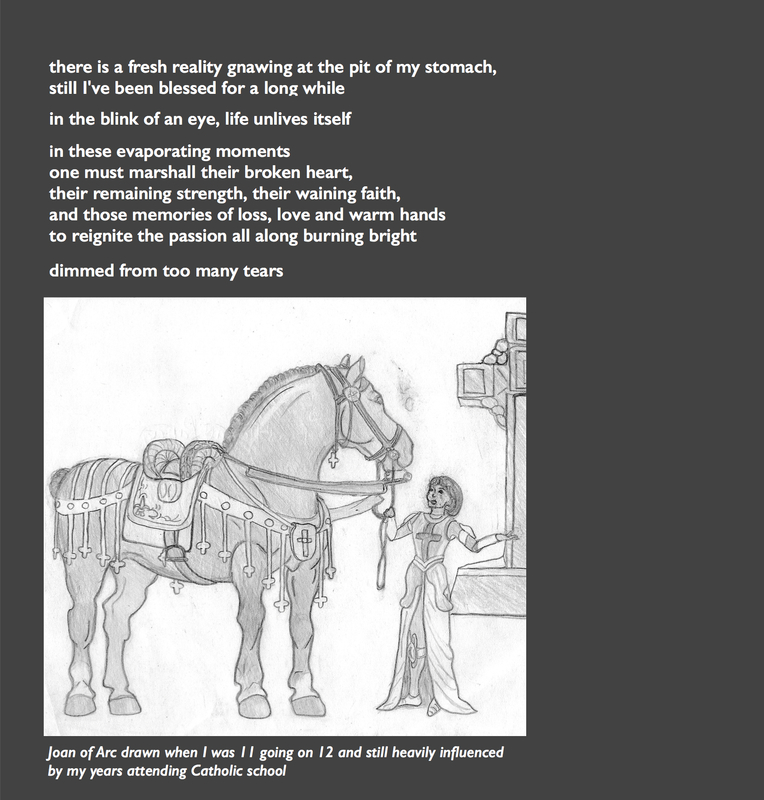 This entry was posted in My Art & Writing and tagged aging, art, childhood, death, drawing, emotions, faith, family, life, parents, poetry, thoughts, truth, writing. Bookmark the permalink.
. . . “In the blink of an eye, life unlives itself”. * a Jimmy Buffet reference. Beautiful art AnnMarie! I’m not Catholic but didn’t like school. Beautiful work AnnMarie. Prayers with your mom. I am doing better almost done with a fan fic book of ‘A Nightmare On Elm Street’ its very scary and violent. I am happy with it. I did it for my friend Julie who loves Freddy and made her the female freddy of this book. She has met Robert Englund and has his autograph.